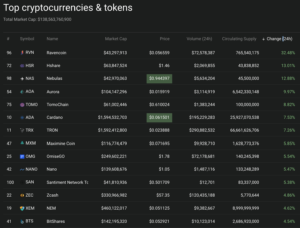 Bitcoin (BTC) is still staying slightly below the 4000 USD psychological resistance level making most of the cryptocurrency market move sideways as well, which is actually quite positive considering most cryptocurrency prices dip weekends. 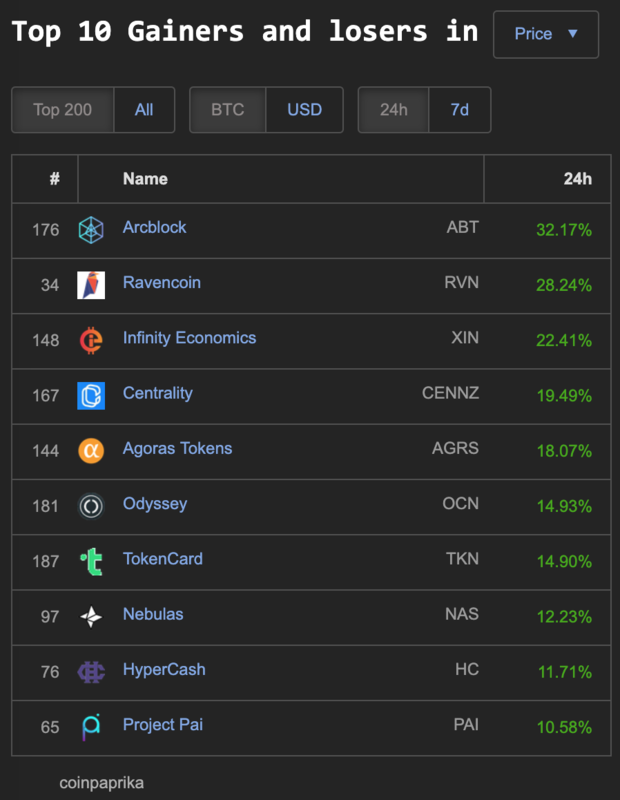 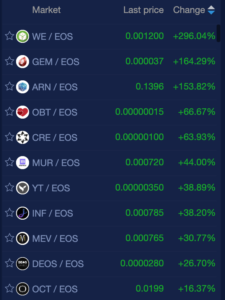 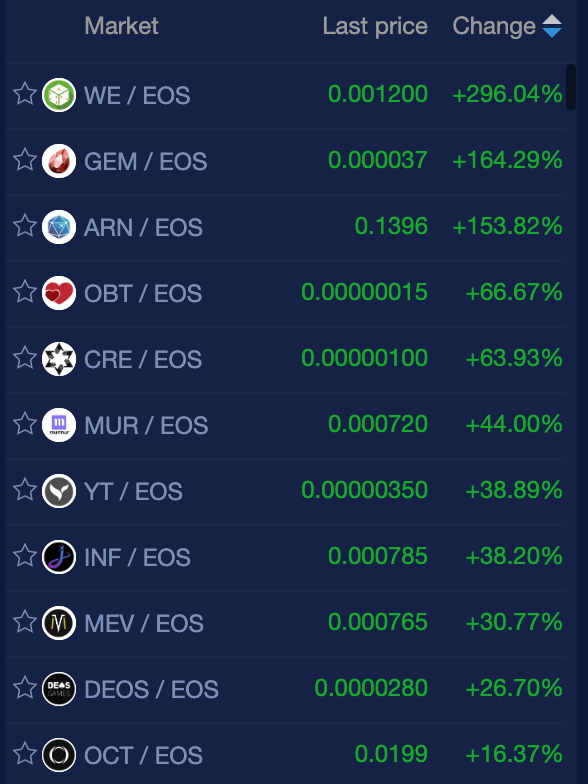 Coin360.io has three coins within the top 100 market cap showing double digit percentage gains: Ravencoin (RVN) 32%, Hshare (HSR) 13% and Nebulas (NAS) 12%. 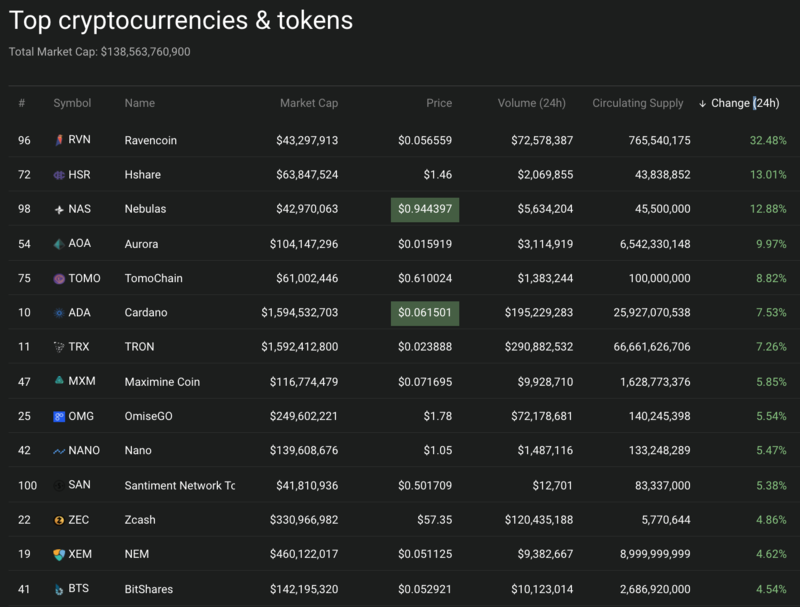 Top crypo market leaders on coin360.io’s top 100 market cap. 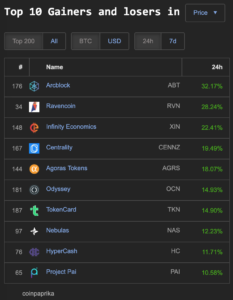 Arcblock (ABT) 37%, Ravencoin (RVN) 28%, Infinity Economics (XIN) 22%, Centrality (CENNZ) 19%, Agoras Tokens (18%), Odyssey (OCN) 14%, TokenCard (TKN) 14%, Nebulas (NAS) 12%, HyperCash (HC) 11% and Project Pai (PAI) 10%.